Our lumbar supports and rolls are a simple, portable solution for improving and preventing musculoskeletal injuries by encouraging an upright and improved posture wherever you are. By giving greater support in the lumbar region, comfort is also increased leading to higher levels of wellbeing and productivity. 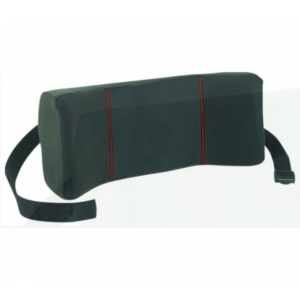 We have a range of lumbar supports and rolls of different material and sizes to suit any individual whether at home, work or whilst travelling. Why use a lumbar support or lumbar roll? Our portable lumbar supports and rolls are ideal in any seated environment where the chair doesn't provide enough lumbar support. Although great for mobile workers who regularly travel on trains and in cars, they can also be ideal in office environments. Sometimes, a chair will fit an inidividual but may not provide enough lumbar support. 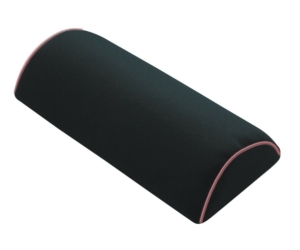 In these instances, one of our portable lumbar supports or lumbar rolls can prove to be a cost-effective alternative to purchasing a whole new chair. 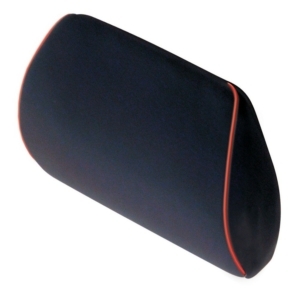 Our lumbar supports and rolls have been designed to fit the curvature of the spine. By supporting the lumbar region, our lumbar supports and rolls promote an upright posture which reduces disc compression and strain on the back. Where to use a lumbar support or lumbar roll? Our lumbar supports and rolls are perfect in almost any seated environment - however they are ideally suited to use in meetings due to the lack of support offered by general meeting chairs. They are also very popular to use when travelling in cars, trains and planes for greater comfort and support. They also offer fantastic support both at work and at home. 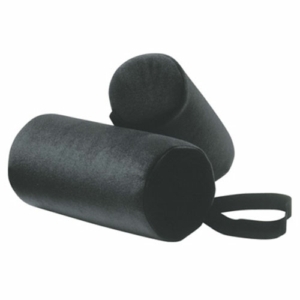 Order one of our lumbar supports and rolls today!